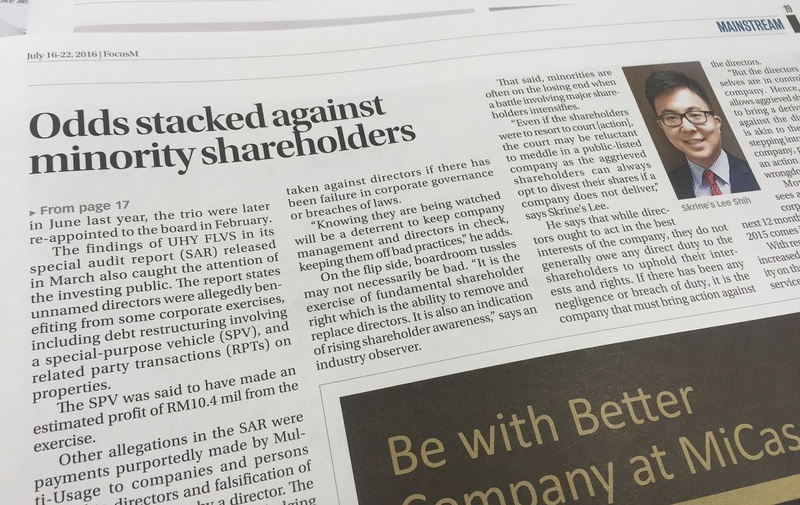 I was interviewed by Focus Malaysia on the rights of minority shareholders in a public listed company context. My view was that there were limited options for the minority to express their displeasure at the directors or management of the company. The interview was partly through email answers and also through a phone call. I set out below my emailed answers setting out my views.